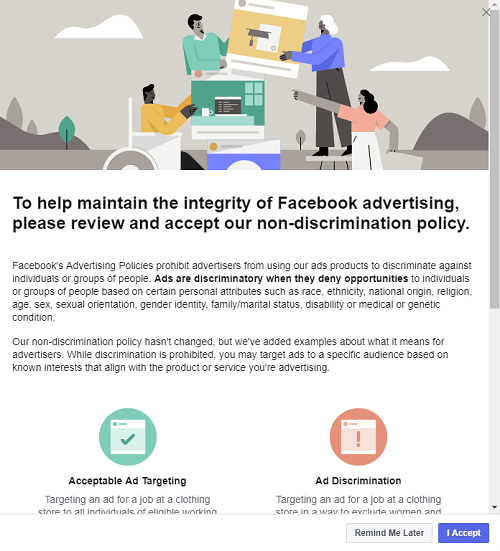 It's taken a bit of time, but Facebook is announcing that it will increase its efforts to limit discriminatory ad targeting. Doing so by removing a range of ad targeting options to better ensure its systems are not used to limit audiences in an unfair manner. Some are saying this is another example of Facebook ad targeting taking another hit. Anyone who wants to run housing, employment or credit ads will no longer be allowed to target by age, gender or zip code. 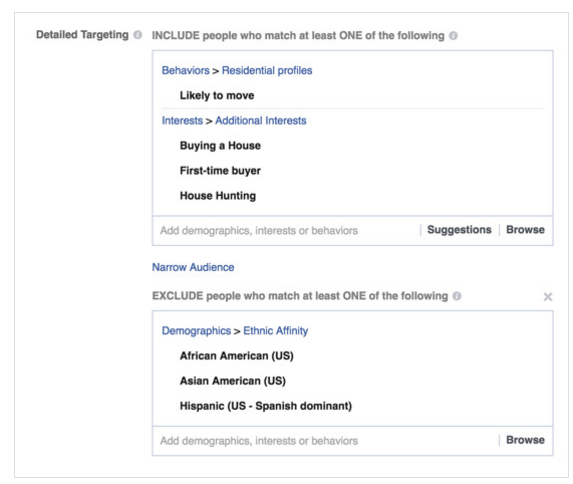 Advertisers offering housing, employment and credit opportunities will have a much smaller set of targeting categories to use in their campaigns overall. Multicultural affinity targeting will continue to be unavailable for these ads. Additionally, any detailed targeting option describing or appearing to relate to protected classes will also be unavailable. We’re building a tool so you can search for and view all current housing ads in the US targeted to different places across the country, regardless of whether the ads are shown to you. The changes have come about as a result of action taken against Facebook by National Fair Housing Alliance and others. After investigations discovering that Facebook's ad targeting options could be used to discriminate. The first discovery on this front was uncovered by ProPublica in 2016. They found that Facebook’s system is enabling advertisers to exclude black, Hispanic, and others from seeing ads. Facebook updated its policies to prevent such acts in early 2017. But it was possible for advertisers to continue using such exclusions through Facebook's ad targeting system. In the wake of the Cambridge Analytica scandal Facebook is removing more than 5,000 ad targeting options. They;re also rolling out a new opt-in agreement process which is giving them some legal enforcement option against businesses. Those measures still aren't stopping a business from targeting and excluding specific audiences. Facebook's latest update takes its efforts a step further. This should limit the roll of businesses to focus on audience segments. This means the algorithm could be training on biased habits and behaviors, and could be discriminating. Facebook will not to provide more insight into how its ad targeting algorithms work. Even so anything Facebook can do to limit targeting in this regard is a positive step. If more users within a single category register more interest in a certain thing. They'll logically be targeted as a result, which is already biased based on the sample.